LONDON (ICIS)--Shipping and production conditions have started to normalise at BASF’s Ludwigshafen site, a spokesperson for German chemical major said on Wednesday, site as water levels start to rise along the River Rhine. Dry weather in northwest Europe, coupled with a protracted heatwave, led to droughts across the region, and sections of key shipping routes becoming difficult or impossible to traverse. Tanker operators hiked pricing in response to loading levels slashed below half of capacity. 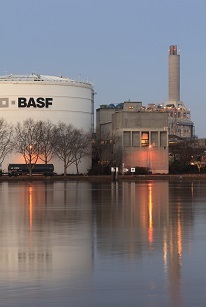 Chronic low water levels also led to adjustments in production at BASF’s Ludwigshafen complex, due to limits placed by federal authorities on the amount of water the company could draw from the Rhine for cooling purposes, but the situation is expected to improve over the next few days. “The temperature has fallen, so we can go back to full capacity in the next upcoming days,” the spokesperson said. The producer used a large number of vessels to maintain delivery schedules despite the low loading limits, it said in a statement last week, but was preparing to shift to alternative modes of transport in light of water levels and forecasts. At present all inbound and outbound logistics requirements are being met and no decision has been taken on alternate transportation arrangements, the spokesperson added.